Case#1 -Mrs. C was a contracted nurse who was hired by the victim to take care of him during business hours. Approximately a year transpired, and she talked him into adopting her as his daughter, since he was nearly 90 years old. He did just that. She then became a signer on all of his checking, savings, and broker accounts, totalling over $700k. Slowly, she began buying herself a new Cadillac, two of them, and a West Seattle Condo, all in cash. Over $600k was bilked from him. Over time, she would leave him for hours or days, with no heat on, no food, and no daily care. He died of pneumonia. She was convicted of Theft 1st degree. I located his only heir to his estate, the rest is history. Case#2– Mr. Carrington was the founder of Carrington Energy Corporation. He had several partners. They noticed he began to lead a very lavish lifestyle. He bought a home in the Summit, in the south end of Bellevue, a premier neighborhood for the rich and famous. He began buying his entire family new cars, and remodeled his office twice within a year. I began to dig dip into his background. I found out he was a Federal Witness and was originally a Lear jet salesman for an outfit down in Arizona. He began supplying jets to a Mexican Cartel dealing international drugs. He changed his name and moved to Bellevue and set up a cogeneration energy company in Bellevue. He began to take private investment monies from individuals throughout the Western United States. There was millions of dollars at stake, including the involvement of some public power company’s monies from the central part of the USA. He began to use the money for personal use supporting his lavish lifestyle. He filed bankruptcy protection. The company’s money he used was in addition to his regular salary. While in bankruptcy court, I provided his true name and social security number to the judge. The proceedings were stopped. The case was turned over to both the U.S. Securities Exchange and Federal Bureau of Investigation. He later committed suicide after his arrest. Case#3- Mr. P was the board president for a condominium association. He collected monthly dues from all of the homeowner’s. He paid vendors for maintenance of the property. Over time, he embezzled over $50k, using the condo association money to remodel his condo. After researching the books, I discovered he set up phony vendors and invoices, showing they were paid cash. 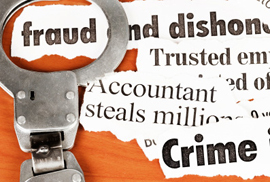 After a lengthy interview, he confessed to the whole fraudulent scheme. The case was turned over the King County Prosecutor for criminal charges. Case#4- Two business partners were running an insurance company agency out of Bellevue. One day they reported a burglary of their business and over $50k of business equipment was reported stolen to the local police department. They provided invoices to their insurance company, proving they had purchased the equipment. The insurance company was ready to pay out, but became suspicious. I went to each company listed on each invoice and confirmed that none of the property was purchased by the alleged victim company. I pitted one partner against the other and gained a confession on who was actually behind the scheme. The case was referred to the King County Prosecutor’s for criminal charges. Case#5- The most recent case involved an Airplane company who had a manager who purchased equipment for their employees to use. Instead, he set up a phony company using his home address and personal phone number, and pretended to order supplies from this phony company, billing his employer. He would send the invoices to his employers purchasing department, where funds were transferred directly from their pay pal account to his pay pal account. After a lengthy interview, he confessed to the entire scheme. Over $100,000 was embezzled. The case is turned over the King County Prosecutor for criminal charges to be filed against him.